I love Christmas, the feasting, the games, the presents, and the excitement it brings to children, but by the time Boxing Day is upon us I’m normally itching to get out in the fresh air! It’s traditional for many families to walk on Boxing Day and if you step foot on Box Hill, you certainly won’t be alone. Painshill Park, Cobham – I was very lucky to undertake my training at Painshill Park so have spent quite a bit of time there. It’s more of a parkland really, designed by Charles Hamilton in the 18th Century and restored in the late 80’s/early 90’s. It’s a great place for children, with hidden follies, a tower and curious grotto, great for exploring and letting off some steam – I recently took my young nephew there and he ran until he dropped! It’s open every day except Christmas Day and Boxing Day 10.30am-4pm. Saville Garden, Virginia Water – when I was growing up, my grandparents lived in Virginia Water so we spent many fun times in Windsor Great Park, we even had “our very own” swinging tree which we were convinced no-one else knew about! Saville Garden is set on the edge of the park and has much to see at this time of year as well as a gorgeous cafe and visitor centre with amazing architecture. It is open all year other than Christmas Eve and Christmas Day but another good place to visit on Boxing Day (cafe will be open but the shop will be closed this day). As an added bonus, it’s free to get in for the whole of December, especially good if there a lot of you wanting to go. 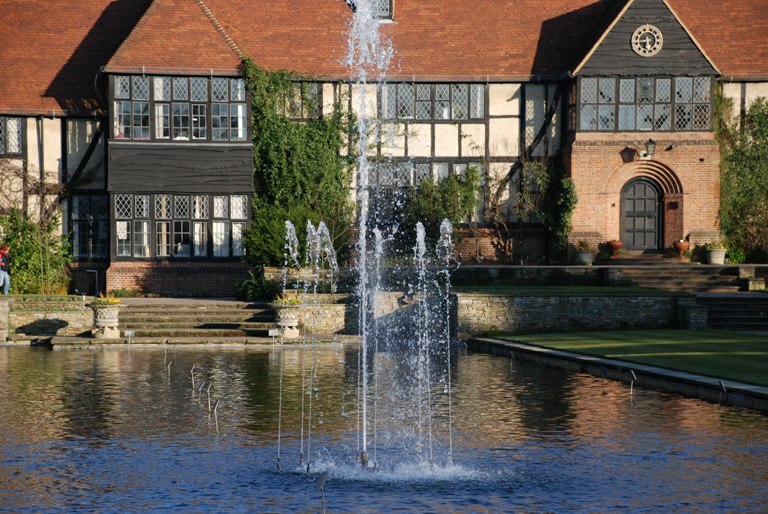 RHS Garden Wisley – I seem to be talking a lot about Wisley at the moment but as it’s on our doorstep, and as I’m a member of the RHS, I go there quite often. At the moment they have a seasonal plant display in the glasshouse including poinsettias (which of course we associate with this time of year! ), cyclamen and chrysanthemums. Pick up or download the Winter Trail leaflet (http://www.rhs.org.uk/Gardens/Wisley) so that you can see what’s looking great at this time of year. It’s open every day except Christmas Day so a good place to blow away the cobwebs on Boxing Day. 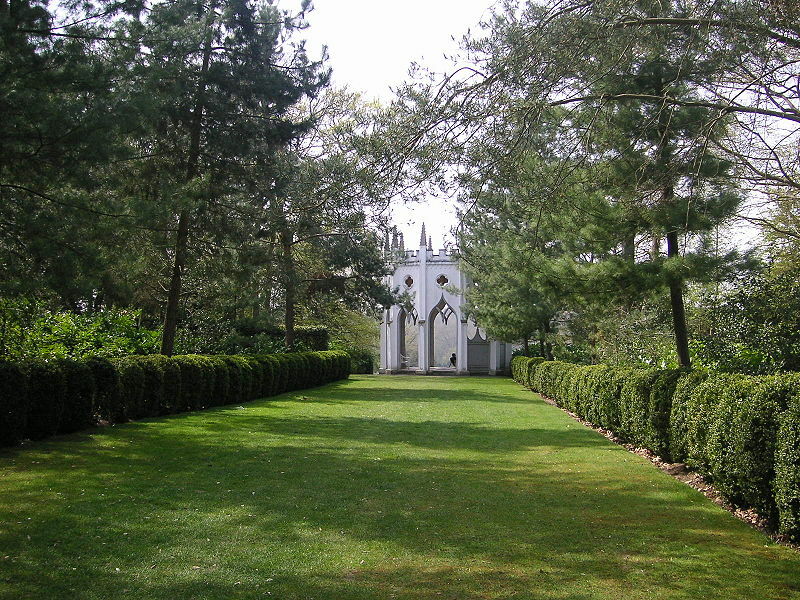 Claremont Park, Esher – a beautiful National Trust garden surrounding a small lake which features a grass amphitheatre, pavilion, grotto and many viewpoints and vistas. It was created and developed by some great names in garden history including Sir John Vanbrugh, Charles Bridgeman, William Kent and ‘Capability’ Brown. At this time of year you will be able to see the winter flowering camellia, which provide colour to the garden until Spring time. It’s open all year except Christmas Day (although you might want to double-check about Boxing Day because the National Trust Website is a little confusing!) 10am-5pm. Polesden Lacey, Great Bookham – A manor house and garden located in a gorgeous setting with stunning views across the Surrey Hills. The house is closed to the public at this time of the year, but the gardens are open and the landscape walk allows you to take in the stunning countryside surrounding the grounds. The garden is open every day except Christmas Eve and Christmas Day 10am-4pm. I’m sure there are other gardens that I haven’t mentioned (Hampton Court Palace Gardens I believe are also open) so please do leave a comment about any others that you know of. Whatever you decide to do over the Christmas period, I hope it brings you a bit of fun and some well-earned fresh air! totally agree, all great places to get out to, – we’ll probably be at Polesdon Lacey. The saddest thing is that even the shop/Garden centre at Wisley are open on Boxing day, – glad i’m not working there anymore!